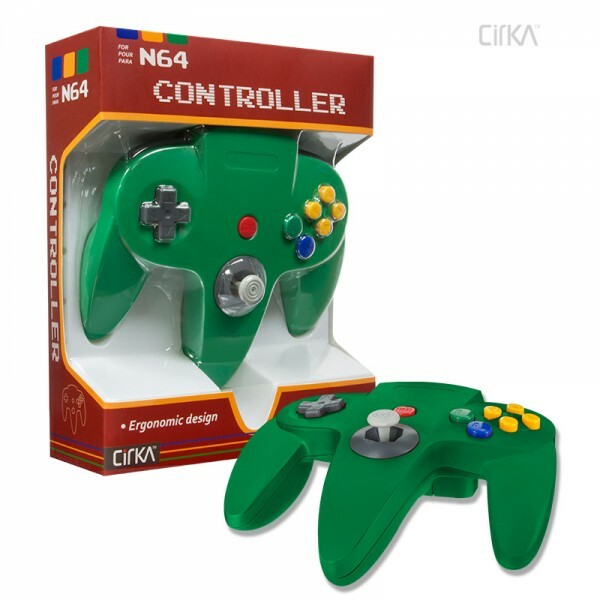 Replace your broken or lost Nintendo 64 controller with the Hyperkin Cirka N64 Controler M05786-TQ, Turquoise. Built with functionality in mind, the accessory gives you the edge when you play your favorite classic titles. Get up to four, so you can keep one Cirka N64 wired controller plugged into each of the console's slots. The bottom of the unit has a standard slot that's compatible with both memory cards and Rumble Pak force feedback units. This controller is patterned after the originals for the legendary Nintendo 64 to replicate the same feel. Use it to play such classics as Super Mario 64, The Legend of Zelda The Ocarina of Time, Starfox 64 and more.